If Bang & Olufsen’s H9 Bluetooth headphones were a car, they’d be a very high end motor indeed. Where Beats by Dre are the sonic equal of a Toyota wagon, B&O’s beauts are an Aston Martin. This is due to their solid design and the sheer quality of their build. They sound good too. Unboxing them, I wondered if all the hype around B&O gear was realistic. Are the H9’s all that and a bag of chips? After weeks with them as the primary source of sonic sustenance for my ears, I found them to be far more than a bag of chips. In fact, they’re the audio equal of truffle fries cooked in duck fat and presented on a gold-plated platter. Yes, they are that good. As you’d expect from B&O, the H9’s are easy on the eyes, they’re well made too. 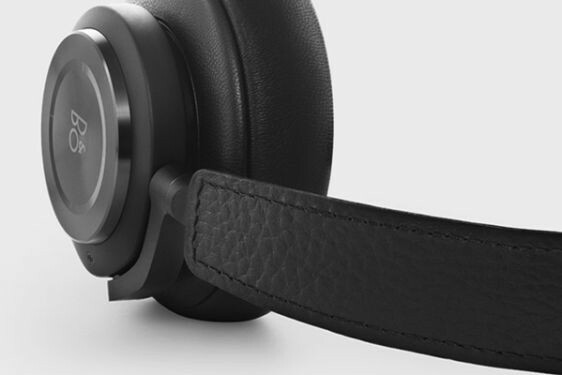 Attention to detail is one of the things that sets them apart in a crowded ‘me-too’ ear wear market, and from their precision-machined components, to the leather atop of the headband, the H9’s are all quality design-wise. There’s no Tupperware or faux leather on these babies. All this alloy should make the H9’s feel heavy, and weight on one’s noggin can be uncomfortable, but B&O have got it right, and have delivered well-constructed cans that don’t weigh as much as the Bismarck before it sank. The H9’s slinky looks start with its earcups. The left earcup sports a slot which houses a rechargeable battery. In an age where gadgets get binned when batteries die, a user-replaceable battery is a pleasant change. The right earcup sports a Bluetooth on/off switch, and there’s also a 3.5mm headphone jack (for wired use when the battery dies), and a micro-USB port (for charging). There’s also touch controls for tweaking volume and play/pause. The right earcup also houses a hidden mic for noise cancelling and making calls via paired phone which is tucked behind a small grill. The H9’s are comfy too. Although they’re a snug fit around my loaf of bread, my noggin never felt like it was in a vice grip. This is due to decent padding in the headband as well as comfy padding around the earcups. An upside of such a snug fit is that they also do a sterling job at noise isolation. Audio-wise, the H9’s acquitted themselves well. There’s plenty of bass on offer, while drums have a warm solid quality that you can almost feel, yet the sound doesn’t get muddy. Mids did seem a tad muted, but this was soon remedied with a little EQ tweaking, producing highs that were all there but are not too overemphasised, and adding a layer of crispness to everything. 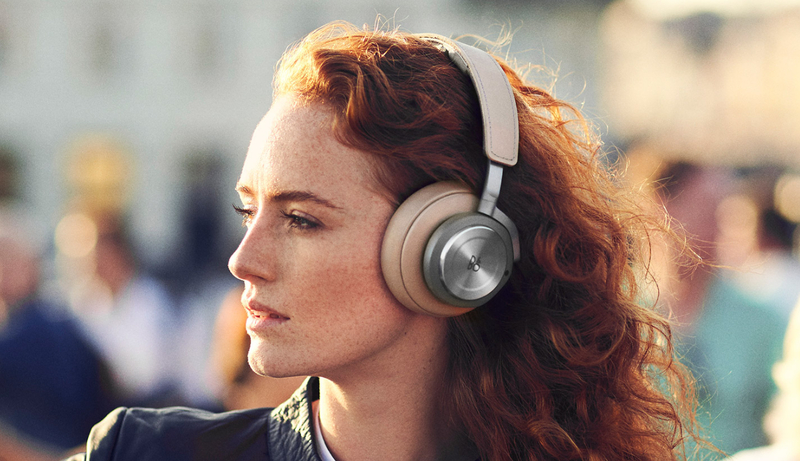 All-told, audio was pleasant and accurate, which has a lot to do with the fact B&O baked in aptX codecs. As long as the hardware streaming the music over Bluetooth has aptX as well, they’ll sound great. Delivering the sonic goods is only part of what makes these headphones great. 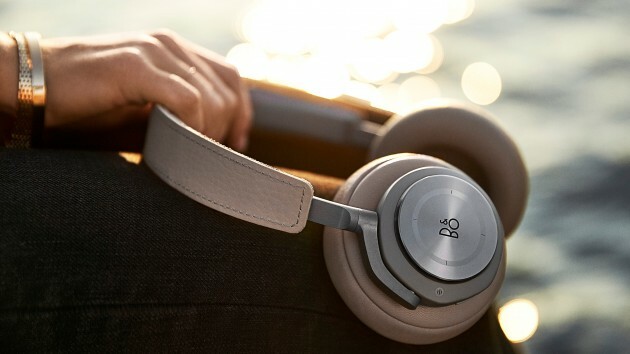 B&O also equipped the H9’s with active noise cancellation, and their attempt is so good that you don’t notice it! The silence is uncanny and frees up your ears from droning noises. A trade-off with their petite design is battery life, though. The H9’s gave me around on a day and bit of use from a single charge, but I should point out that hooking up the supplied 3.5mm aux cable means you can keep listening without batteries. B&O H9’s are nice cans. Thanks to a well-executed design, comfy fit, premium build, and decent audio, they tick a lot of boxes. That said, they are a marque brand, and because of this they command a hefty sticker price. Depending on where you shop they can be had for around $849. If that seems steep for a pair of earphones, remember that you get a premium product for the premium price.